Claims for medical negligence, also known as medical malpractice, are commonly filed under the Federal Tort Claim Act (FTCA). Medical negligence occurs when a health care provider’s negligent conduct causes injury or death to a patient. A claim for medical malpractice falls under the FTCA when the healthcare provider in question was an agent of the federal government. This may occur when a patient is treated at military hospitals or clinics, VA (veterans’ administration) hospitals or clinics, or any other medical facility owned or operated by the federal government. 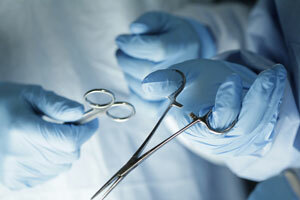 Medical malpractice may be committed by any healthcare provider, not just a doctor. Nurses, pharmacists, technicians or anyone else that provides medical care to patients can commit malpractice. Medical malpractice arises when the healthcare provider does not act in keeping with the expected standard of care. Negligent conduct can be associated with any number of medical situations, including birth injuries such as cerebral palsy, misdiagnosis or failure to diagnose a condition, and surgical mishaps. Many states, including Tennessee, require an injured party to show via a qualified expert that his or her claim has merit before filing a lawsuit. Although an FTCA claim is filed in federal court, these state requirements will still be imposed. Requesting medical records, reviewing those records, and getting the necessary documentation to show that a claim has merit can take a substantial amount of time. If you or someone you love was injured by the medical negligence of a healthcare provider employed by the government, it is imperative you contact an attorney as soon as possible. Our award-winning attorneys handle medical malpractice claims for clients throughout Tennessee, and we have a full-time registered nurse in our office to assist us in reviewing these cases. We handle all medical malpractice cases on a contingency basis. Call us anytime at 615-742-4880 or toll-free at 866.812.8787 for a free, no-obligation consultation.